I don't normally mention this to folks I'm around each day. They wouldn't understand. But since I don't know most of you, I don't really care if you think it's odd. *grin* I'm wallowing in classic movies. Turner Classic Movies is my fix of choice. I have watched almost every Ginger Rogers movie. Yes, she made movies without Fred Astaire. William Powell flicks are my latest passion. I adore him. Not on a par with Charles Boyer, but he's pretty darn festive in his own right. Ray Milland movies are starting to appeal to me too. I've discovered Rosalind Russell movies I didn't know existed. And, I've discovered that I like Norma Shearer movies. The most interesting discovery I've made is, not only are there very few new ideas in Hollywood, the ideas they've borrowed from old movies have been butchered. In between the rare modern films worth the time it takes to watch them, I'll stick with Turner Classic movies. Even the bad old stuff is often better than the new blockbusters. At least they're quaint and pleasantly silly. Spectacular visuals of Earth from the Messenger space craft, on its way to Mercury. I checked my email and found around 400 bounce emails. Someone had sent a load of junk emails and many of those emails failed to deliver. 400 mail servers thought I should know about it. The problem is known as a "Joe job". Even though I had nothing to do with the junk mail, the spammer wrote my address down as the sender and the mail servers reported the error to me, since they incorrectly presumed I had sent it. Its trivially easy to do and spammers do it all the time. The only correspondence they are interested in involve payment, so they deflect complaints to innocent third parties. This time, the spam was for some teeth whitening product. Last time it happened, the spam was advertising "CH1LD P0RN0 PH0T0S". This could happen to anyone, I was just a random name off a list. Fortunately for me, I have a good business relationship with my ISP and they understand I have nothing to do with this. If it happens to you, contact your ISP and inform them of the situation. If you have evidence of a crime, inform the police. Ah ha ha ha ha ha ha ha ha ha ha ha ha ha... See what I did there? It's just like the word bogroll which means toilet paper! Ha ha ha ha ha ha ha ha ha... I crack me up. James Vandenberg, Rori, Bruce Schneier, Neil Cicierega, Ben Edelman, Aunty Spam, F-Secure, Neil, Shell and Lionel, Edward Felten, Ed Bott, Ed and Sue and Spyware Warrior. I've seen others do it. Find the first blog you've linked to and then find the first blog they have linked to, posting a link to most recent article on the way. Repeat for five steps and post the result. So I tried it. The first link I found here was to A Perfect Marriage. The blogs linked to from there can get a bit, shall we say, saucy. I completed my five step blogstroll, and on the way, I found explicit descriptions of sexual activity (with photos) and posts about hanging around the house in your underwear. So, I'll try again another time. In the meantime, I have some saucy blogs to read. "Sir, is your mobile phone on contract or pay-as-you-go?" Hey, its a correct answer to unambiguous question. Not my fault if he doesn't understand boolean logic. Oh darling, you'll hurry home to me. More moon photography. I saw the moon perfectly framed with a halo of clouds. I just had to grab the camera. Update - The "A Perfect Marriage" couple saw the same scene. And took a better photo. Mutter mutter, grumble grumble. Step away from the lyrics! I've just been reminded of this song. Nice and happy tune with sad lyrics of lost love. White fields of cotton, green fields clover. Song by Jimmie Davis and Charles Mitchell. Anyone wondering what's happening here where I work? Oh wow! My first comment spam! Does this mean I'm in the big league? Subject: World wide news - no more enlargement ripoffs. Oh dear, these spammers can never get their punctuation right. 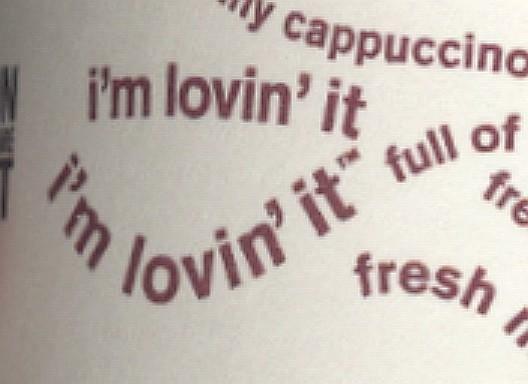 ...so... why are they only lovin' it in a smile-like shape? Why not lovin' the horrizontal? The vertical? The zig-zag? 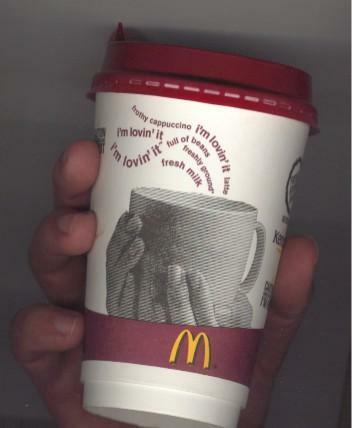 Did someone get there before them and say "I'm going to trademark the phrase `I'm lovin' it` when it's written in those other manners" ? 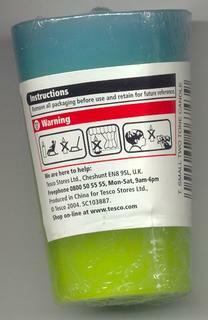 Am I the only person who worries about these things? Zibloxlia is an island the size of south Wales, found 150 miles south west of Ireland. It was discovered and settled in 1492 by a group of English people who had got lost on the way to Malta. This island nation remained a monarchy until 1876 when King Neil VI died without leaving an heir to the throne. It quickly reformed itself into a republic and Marissa Birkheuer was elected the first president of the republic of Zibloxlia. As president, she started the tradition of making a tuna sandwich for the leader of the newly founded senate. According to the new constitution, each candidate for president must deliver four cans of tuna to the speaker, naming those cans of tuna after four members of the cast of Friends. She used the names Joey, Monica, Rachel and Ross for her first candidacy. Rival candidate Jeff Smith was famously the only one to chose the name Chandler for one of his cans. He received five votes and was caught in a heavy rain storm on the way home. No presidential candidate has used the name Chandler since. The main geographical feature on Zibloxlia is Kendra's Mount, found near Keelie's river. Kendra Otuza was famous for living in a cabin on the side of this mountain. 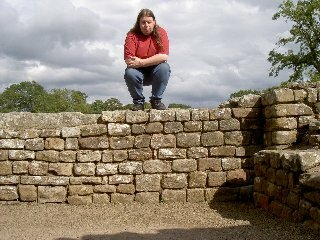 Her unique vantage point proved crucial in alerting the islanders to an incoming invasion fleet while she was out collecting pine cones. The mountain was named in her honour. The national currency is the Thia, which is currently worth $4.28 (USD) or £2.39 (GBP). Th1 (one Thia) is worth 12 billings, with ½b and ¼b coins. The ¾b coin was a short lived coin minted for only twelve days in 1895. Other coins are worth 1b, 3b, 6b and Th1. The island's chief exports are wood, mineral water, meat, financial services, technology and maize. As well as the sandy beaches on the south and west coasts, the island's historic monuments and culture are popular with tourists. Thiaville hosts a yearly cultural festival of the arts. It is popular amoung people too cool for the Edinburgh Fringe Festival. 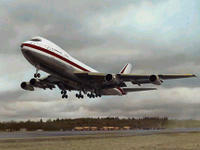 Flights to Zibloxlia leave daily from New York JFK, Daventry International and Helsinki International. For a more sedate journey, a passenger ferry goes between Portsmouth and Keelieport daily. Visitors are welcome so long as they bring a passport. There is no need to apply for a entry visa beforehand, but visitors may find a visa or a mastercard useful for shopping. And I'll be Nebraska afore ye. 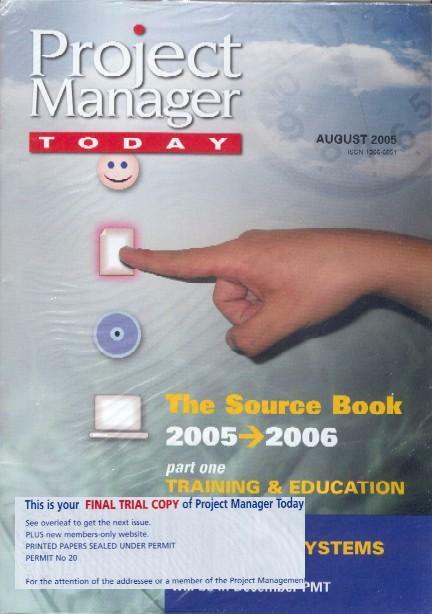 Over the past 3 years, every so often I've received a "free" copy of Project Manager today. For some reason [I went to a windows NT show... um... about 1999/1998 and they had my address - probably in exchange for a stress toy or something ] and the last 3 or 4 or 5 issues have all proclaimed "This is your final trial copy of..." It makes me wonder if they every check their mailing lists. Yes! Through a "Willy Wonka" style selection process, the famous watch brand has been given to pop Diva Mariah Carey to manage, sell, and generally dance around wearing very little clothing while promoting. ...just in case your mother's having problems, this spam supplies a solution! Why people become suicide bombers...? well... what else can this spam mail be advocating? Hi there, we're Lucy and Kelly and we want to join your nerdy Star Trek alien collective. P.S. We both look like 6 of 9. Now what are they on about? 1) it is okay to sit in front of a giant lit candle, but you shouldn't put an empty chair in front of it. 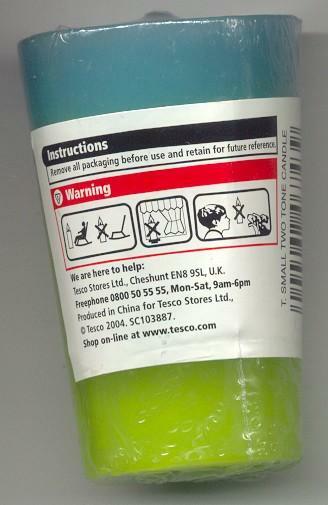 3] You shouldn't use telekinesis to suspend a lit candle in front of children or dogs as it might freak them out. 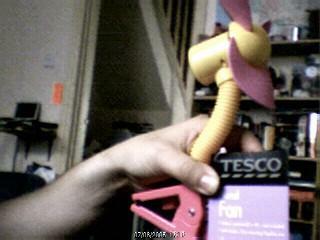 Yesterday I picked up a couple of hand-held [with desk attachment clips] for my children to have in their room as a remedy for "hot room, not enough fans in the house" syndrome that I'd been suffering from. 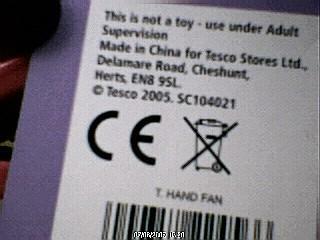 ...but all this told me was that "it wasn't a toy", "it was made in China" and it shouldn't be used on wheelie bins. 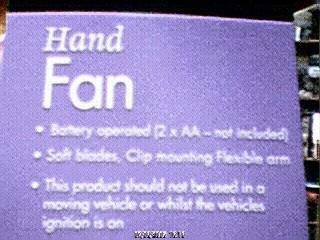 Does anyone _know_ why small hand fans shouldn't be used in vehicles or wheelie bins? Or is the world just going crazy? 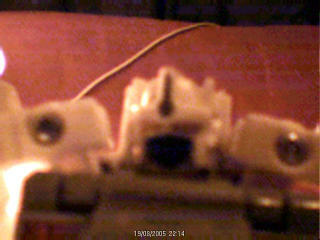 1989 - GIF image format modified to allow animation. 2003 - Elvis lives in flash! Elvis Lives In Flash by "Sners"
2005 - Some guy with a stupid website links to it. The firefly wireless ballistic camera. Yep, you load this little baby into a grenade launcher, point and shoot, and out pops the Firefly - a miniaturized disposable video camera, which beams its images back by wireless communication to the launcher’s PDA or other device, until it crash lands. “In the near future, a soldier who needs a quick look over the next hill will be able to aim his rifle skyward, fire a grenade-sized reconnaissance device and instantly receive imagery on his pocket computer,” said Barbara Opall-Rome of Defense News. The possibilities are endless! When's the civilian version coming out? Ooh, ooh, ooh, I'm angry. I wrote this piece ages ago in my angry teenager phase. I think I've mellowed since then. Enjoy. In the music industry, how much phony is too much? When news broke that the voices behind Milli Vanilli were in fact not the people lip syncing on stage, to many people at the time, that was too much phony. Paying to watch someone lip syncing to thier own voice is fine. Even if that recording has been electronically enhanced, edited, re-taked, adjusted, etc, that's fine. Lip syncing to someone else, well, that's just fraud! To anyone who did feel conned, and even felt the need to go out and have thier copies crushed by a steamroller, exactly what were you expecting when you bought your copy? Presumably, when you heard the music on your radio on on TV, you liked it enough to go and buy your own copy. Does the music have a lower value now you realise it wasn't a pair of nice young men in dreadlocks but some old fat bloke instead? Whenever we get a tiny bit of snow in England, the coutry seems to grind to a half as we totally fail to travel anywhere. If only it hung around long enough to enjoy it. Here's some photographs of some pleasing snowfalls. This textbook contains material on gravity. Gravity is a theory, not a fact. This material should be approached with an open mind, studied carefully, and critically considered. Bags, in the familiar chocolate leather and gold LV monogram - an international symbol of luxury - will be on sale for less than ten pounds. Despite the "genuine" logos, everyone knows these are counterfeit goods. -- Maxine Firth, writing in the Independent. Turns out these fake handbags are made by children in sweatshops and might go to fund al-Qaida. If you own a trademark, you have a monopoly to use that mark in that particular realm. If anyone else tries it, the law will step in. In my humble opinion, its a reasonable law. If someone has a good reputation for quality goods, we as buyers should have a reasonable expectation that when we buy something with LV written it, its the genuine high quality product and not something that will fall apart after nine days. Ask yourself though, why should Louis Vuitton be the only one who can sell LV handbags? Say I started manufacturing high quality handbags, employing well paid people in a good working environment and never give a penny to any terrorist. Why shouldn't I be allowed to put LV on my handbags too? That is the problem I have with the argument that counterfeit goods are of low quality and fund criminals, its not necessarily the case. If someone's only crime is to infringe a trademark, its not going to dissuade someone who feels that trademark infringement "never hurt anyone". The argument that trademark infringement is simply wrong, is not being heard by the general public. Trademark infringement is bad because the people who built up the name are being cut out. Let's not pretend the law is there for anything else.